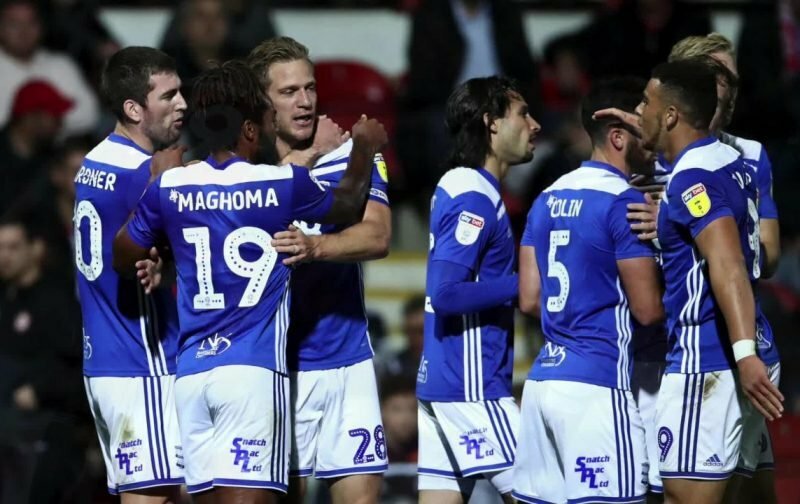 It was an eighth draw of the season for Birmingham City on Tuesday night, but it was another performance that showed the hard-work and endeavour that has epitomised Blues’ campaign so far. As the stats suggested, it was a hard-fought point. It was a slow start from the Blues but we gradually came more and more into the game as the first-half went on, with Michael Morrison’s goal coming at a time where we were at the height of our dominance. Josh McEachran’s goal was unfortunately timed for Garry Monk’s men, with it coming just before half-time and against the run of play. Blues came out strongly in second-half, but after the game-changing incident in the 65th minute (we won’t talk too much about it here…), it was very much backs against the wall for Blues but the players stood up to the test superbly, shutting out the third highest scorers in the division and the second highest scorers at home. Our View: Possibly his weakest outing in the last few weeks, but only because his last few games have been more solid. He definitely could’ve done better with their goal, although the referee did cause a bit of distracting fuss around the free-kick. There were one or two saves that weren’t the most comfortable too, although everything else he seemed to deal with well. Our View: Another very good performance from Dean. Against his former club, he looked solid and up for the battle. Once again, he’s been one of our best performers this season and his attitude is one that truly endears him to the Blues faithful. Our View: Dealt with most of what came down his side and was top of the stats for interceptions with eight. Solid. Our View: Mr Dependable continued to live up to his name. Another very solid defensive display from Colin and linked very well with Jota down the right in the first-half. Our View: An excellent performance from the captain in his 150th appearance for the club. Dealt with everything that came near him, including the league’s top scorer Neal Maupay (feels like swearing saying his name now…), and capped off the occasion with a goal. Superb. Our View: A typically battle-ready performance from the Dutchman, always willing and didn’t shirk from anything. He was extremely unfortunate with the red card, so I hope we see it rescinded and him in the squad on Saturday. Our View: A quieter game for Gardner. Didn’t get much time to create or do anything on the ball, but still kept his position well and did his bit in the dogged team display. Our View: Not one of Maghoma’s best displays in a Blues shirt. He’s showing a little bit of inconsistency and has been a bit lax in one or two games recently. He could’ve also done better with his chance in the first-half, albeit the ball was slightly in front of him. Maybe Saturday could be a chance for Mahoney to showcase himself and possibly give Maghoma a wake-up call? Our View: A solid display from the Spaniard, looked a threat in first-half and worked to provide an outlet on the counter in the second. Linked up with Colin well once again. Our View: Another slightly anonymous display from the forward. Certainly, the second-half was more difficult for him to get involved, but he wasn’t part of much of the positivity of the first-half. Needs to up his game again on Saturday. Our View: Another hard-working performance from the Juke. Worked hard, but was just a little slow at times. Should’ve scored his chance in the first-half to give Blues the lead. Our View: Came on after the red card, when backs were going to be firmly against the wall. Got stuck in and held his position well. Our View: Replaced Jutkiewicz inside the final 10 minutes. Difficult circumstances to come on to. Didn’t tend to press, which I’m sure he was instructed not to do, however, he could’ve been a little smarter with it and positioned himself a little better at times. Our View: He was only on for a couple of minutes, so we can’t really say too much.